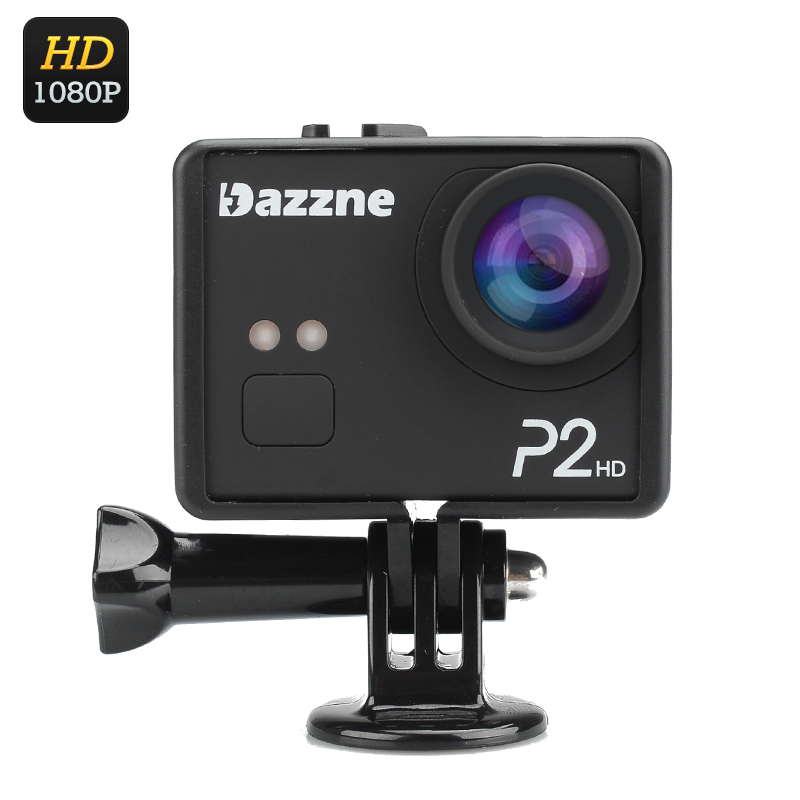 Successfully Added Dazzne P2 Sports Action Camera - 2 Inch TFT Screen, 130 Degree Wide Angle Lens, 1080P, 1/3 inch CMOS Sensor, 12MP to your Shopping Cart. Have the most exciting moments of your life go down in history with the Dazzne P2 Action Sports Camera. If you are not a fan of sitting in one place and your life is a blur of extreme adventures, you definitely need a reliable camera by your side to record all the great things that happen in you get up to. The Dazzne P2 Sports Action Camera is just the right device for that. It will be by your side as you are bungee jumping from a cliff, snowboarding in the mountains or hitting the waves- and it has all the right features to record your adventures in superb quality. With the support of 1080P at 30 frames per second, you can be sure that the recordings will do all your action shots justice. Thanks to the 130 degree wide angle lens, you will be able to capture more of the background to your extreme stories and have your images looking full and complete. A nice feature of the action camera is that it comes with a 2 inch TFT screen, letting you preview and review all the pics and videos. This is a useful feature for a number of reasons. First, you’ll be able to make all the necessary adjustments as you take the shot, making sure that the angle, lighting and other components are all at their best. Second, it’s always nice to have the option to review all the great moments as you relax at the end of your adrenaline-filled day. If you want to indulge in some watersports, all you need to do is get a waterproof case for your Dazzne P2 Sports Action Camera (compatible with most waterproof cases) and have it splashed or submerged all you want. The action cam comes with a 950mAh battery, giving you plenty of shooting time, and lets you store all the media on a micro SD card of up to 32GB. The Dazzne P2 Sports Action Camera comes with 12 months warranty. Brought to you by the leader in electronic devices as well as wholesale sports action cameras, Chinavasion..